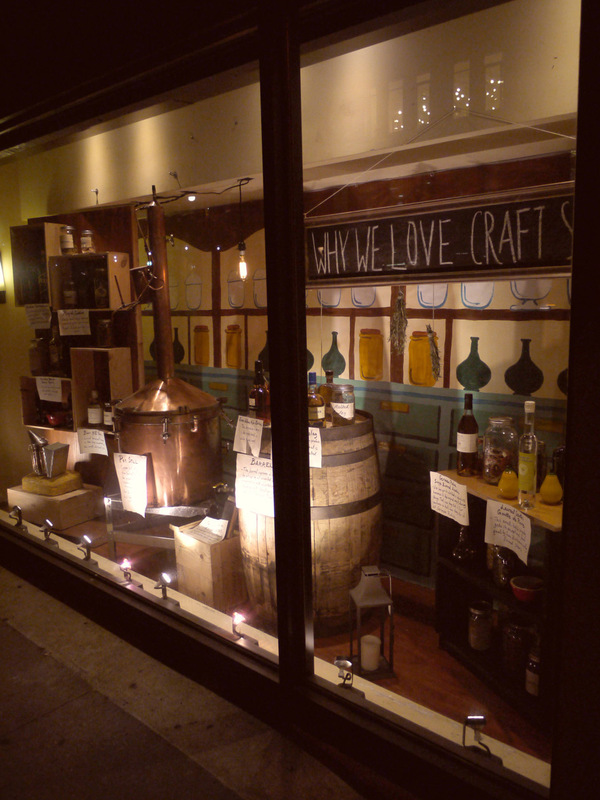 For Astor Wines' Fall 2013 window display, I wanted to convey the breadth of small-batch craft spirits that Astor has to offer. They have several direct relationships with local producers. By placing spirits bottles next to jars with their corresponding ingredients, I wanted to give the viewer an insight into the process of making these high-quality products. I took inspiration from old turn-of-the-century apothecaries, where shelves would be lined with unusual herbs, spices and tinctures. Todd Hardie from Caledonia Spirits was kind enough to lend us a pot still, enormous lump of beeswax, and a bee smoker from his Vermont-based distillery, where they produce incredible gins using their own honey as a base for the spirit.